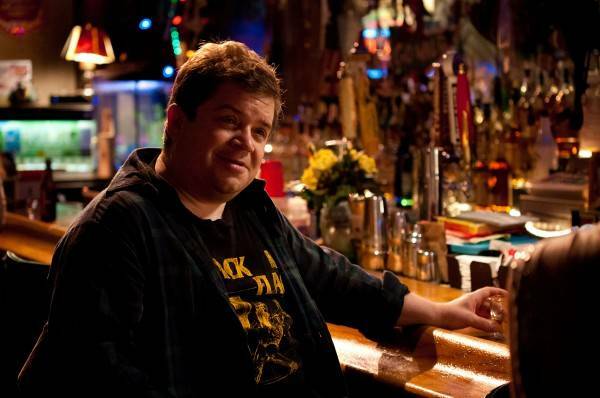 Patton Oswalt in Whistler Film Festival opener Young Adult, directed by Jason Reitman and written by Diablo Cody. The time is nigh once again for the last Canadian cinematic hurrah of the year, the Whistler Film Festival. WFF (or as I affectionately like to call it, “the festival that needs to buy a vowel”) is poised to present the remote mountain community with another year of exceptional feature, documentary, animated and short film programming from both Canada and around the world. The relatively small (it runs for five days) and young (in its 11th year) festival is comparatively less glitzy and less renowned than its older cinematic sisters in Toronto and Vancouver (I also affectionately refer to WFF as the Cindy Brady of Canadian Film Festivals – TIFF being the much-lauded Marcia and VIFF being the awkward middle-sister Jan), but it is nonetheless emerging as justifiably important on this country’s film festival circuit. 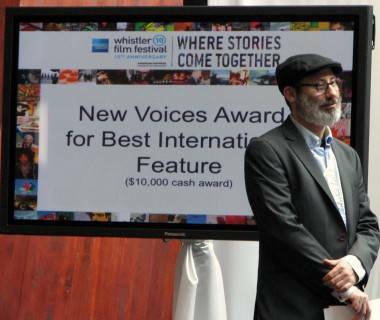 The WFF has earned a positive reputation amongst filmmakers and filmgoers alike for its inherent intimacy; it’s almost impossible not to rub elbows with everyone in the tiny, fun, and laid-back mountain resort. In addition to programming more than 80 films and securing notable industry guests including Kung Fu Panda 2 director Jennifer Yuh Nelson (set to receive the inaugural WFF Trailblazer in Animation Award in recognition of her being the first female director of an animated studio feature), the festival has even managed to secure bona-fide Hollywood A-listers like Patton Oswalt, Jay Baruchel and Michael Shannon. Academy Award nominee Michael Shannon is once again receiving Oscar buzz for his role in Jeff Nichols’ Take Shelter. Oswalt is set to receive a Spotlight Award for Supporting Performance of the Year for his work in Canadian director Jason Reitman‘s (Juno, Up in the Air) dark new comedy Young Adult, slated to open the festival at tonight’s gala. 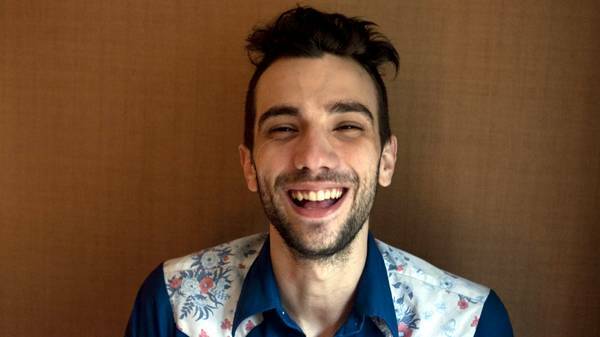 Canadian Jay Baruchel, best known for performances in films like Million Dollar Baby and Knocked Up, is this year’s recipient of the WFF”s first Screenwriter to Watch Award for penning the upcoming Michael Dowse (It’s All Gone Pete Tong, FUBAR) hockey comedy Goon. Canadian actor Jay Baruchel has written the screenplay for the hockey comedy Goon. 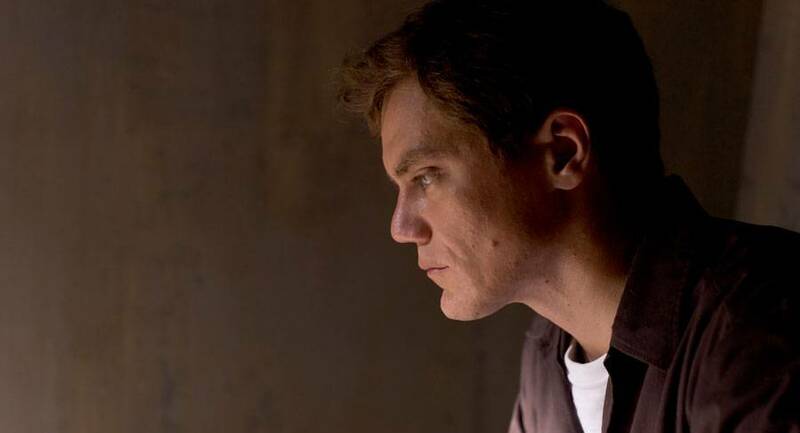 This year’s annual Spotlight Tribute and Gala will be held in honour of Academy Award-nominated actor Michael Shannon (Revolutionary Road, Take Shelter, Boardwalk Empire), who is currently shooting director Zack Snyder‘s Superman reboot, Man of Steel, in Vancouver. If there is one award that ultimately defines the festival, it would be the competitive Borsos Award for Best Canadian Feature, a peer-juried category open to Canadian filmmakers. Stacey Donen, now in his third year as the the festival’s Artistic Director, concurs. In a phone interview with The Snipe a few days before the festival’s opening, he said, “I think the Borsos Award really is the heart and soul of the festival. We really do want to celebrate and stand behind Canadian work, and not just because somebody wants to fund us to do it. We actually believe that we make great films in this country, as good as any other country in the world. Whistler Film Festival Artistic Director Stacey Donen at 2010’s Awards Brunch. Rachel Fox photo. Last year’s winner, director Larysa Kondracki, took home the award in recognition for her powerful film The Whistleblower, starring Rachel Weisz. “I think it’s also really important that we name it after a Canadian filmmaker, Philip Borsos, who was from the Pacific area,” says Donen. 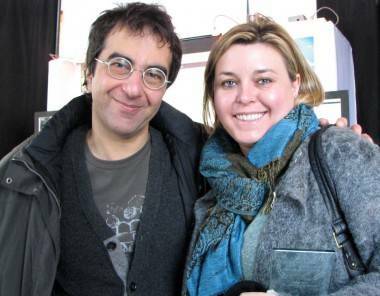 Atom Egoyan with last year’s Borsos Award winner, Larysa Kondracki. Rachel Fox photo. 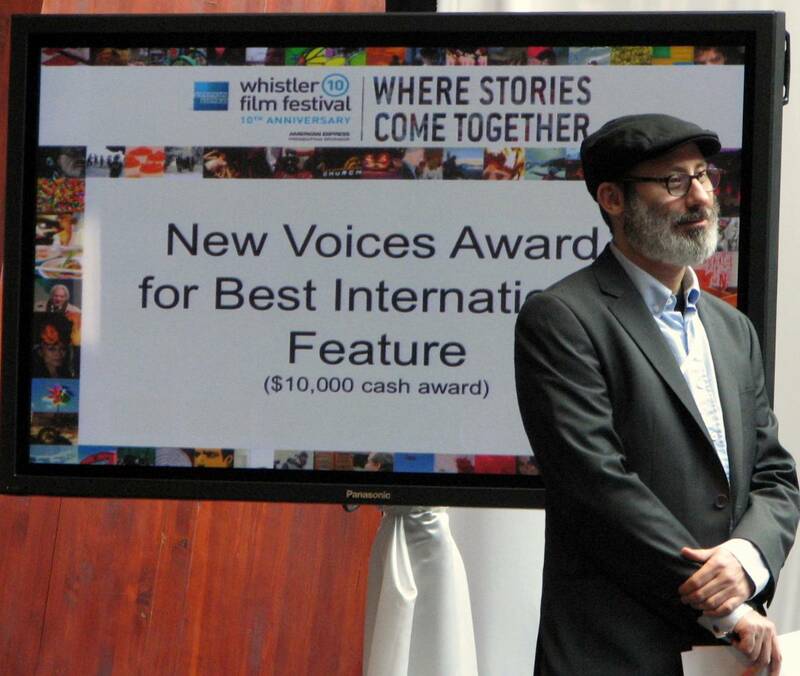 As a programmer, Donen is keen to point out the comparative relevance of the New Voices Award for Best International Feature, honouring emerging filmmakers from around the world. 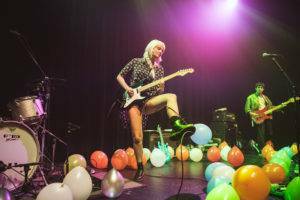 “The festival has grown and now these filmmakers want to come and be part of it,” says Donen. Last year, Greece’s Athina Rachel Tsangari was the inaugural recipient of the New Voices Award for her film Attenberg, which is now that country’s official submission for the Best Foreign Language category at the 2012 Academy Awards. 388 Arletta Avenue – The only thriller in this year’s Borsos bunch, director Randall Cole‘s film centers on a privileged, upwardly mobile young couple (Nick Stahl, Mia Kirshner) who learn they are under surveillance 24 hours a day. Also starring Devon Sawa and Kristen Bridges. Café de Flore – Director Jean-Marc Vallée (C.R.A.Z.Y.) beautifully weaves two seemingly separate storylines into one beautiful, romantic, and chillingly atmospheric film. Starring French pop star, actress, and former face of Chanel No. 5 Vanessa Paradis in a surprisingly powerful turn as a fiercely devoted mother. Doppelgänger Paul (Or a Film About How Much I Hate Myself) – Shot largely on location in Vancouver, directors Dylan Akio Smith and Kris Elgstrand’s darkly comic film veers into Charlie Kaufman territory as it asks its viewers to go on a road trip that explores themes of loneliness, identity, loss, plagiarism and missing limbs. Starring Tygh Runyan and Brad Dryborough. Keyhole – Another weird and wonderful film from Canada’s reigning master of weird and wonderful films, director Guy Maddin. Keyhole follows protagonist Ulysses Pick (Jason Patric), a gangster and deadbeat dad who embarks on an unusual journey through his home. Also starring Isabella Rossellini. Marilyn – Shot in a style that pays homage to the grittiness of the 1970s, director Christopher Petry‘s Marilyn was adapted from an original story written by notorious Stopwatch Gang member Paddy Mitchell whilst he was in Leavenworth Prison. Michael Grant (Ryan Robbins) is a man on the lam who finds himself distracted and beguiled by a vibrant, volatile, and much younger woman (Allison Mack). The chemistry between Robbins and Mack is palpable; the film’s rockabilly soundtrack is an unexpected delight. Monsieur Lazhar – Like last year’s Oscar-nominated Canadian feature Incendies, director Philippe Fallardeau‘s Monsieur Lazhar centers on a Canadian immigrant with a tragic past (and is Canada’s official submission as a contender for this year’s Foreign Language Oscar). The film follows Bachir Lazhar (Mohamed Fellag), a 55-year-old Algerian immigrant living in Montreal who takes a position in an elementary school following the sudden death of one of the teachers, as he navigates both the school’s and his own personal crisis. This entry was posted in Movies and TV and tagged Jay Baruchel, Michael Shannon, Patton Oswalt, Whistler Film Festival. Bookmark the permalink.